1. Try repairing the Inbox folder. Right click on the Inbox name in the left hand pane of the main Thunderbird window. Click on "Properties" in the context menu then on the "Repair Folder" button. Close Thunderbird and navigate to your Profile Folder ( http://kb.mozillazine.org/Profile_Folder ). 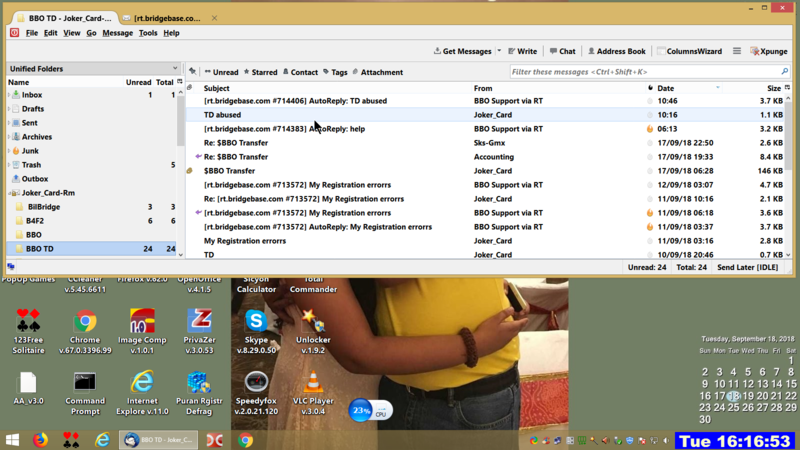 Find the file Inbox.msf for the problem account. Note that there will be sets of two files with the same file name but only one of these will have the MSF extension. Note that the MSF files do NOT contain your messages. They are, for lack of a better term, an index file and will be recreated by Thunderbird as required.